“Dualists” are an apt descriptor for people that consume both cannabis and alcohol, and Scully points out that around 45% of dualists are Millennials.BDS Analytics adds another insight: up to 40% of adults 21 and over consume cannabis in states where it’s legal. That’s likely to be a wake up stat for alcohol companies who are trying to maintain or grow sales in this demographic. 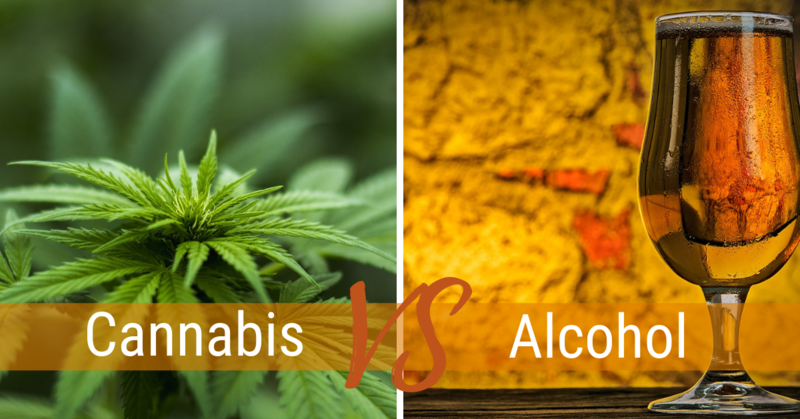 However, another recent study provides a different point of view: the Distilled Spirits Council reports that in a study of the 3 US states that have legalised cannabis the longest, spirits sales have not been negatively impacted. I’m a little sceptical of cause and effect here. So which of the two viewpoints should we go with? For me, it seems very likely that Cannabis will take share of throat from Alcohol as it goes mainstream. Consider the prospect that common usage of cannabis is likely to result in greater acceptance, resulting in ever growing usage. The thing to come to grips with though, is the propensity to choose cannabis over alcohol, and the occasions where it is likely to happen.